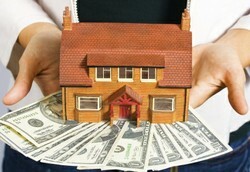 Real estate has been one of the most lucrative investments that mankind has ever known. The concept of renting property has existed ever since humans discovered agriculture and civilizations started to flourish. One of the downsides of real estate is that starting out from scratch can be almost impossible for those that are starting to enter the workforce or are already paying their first mortgage. Just having to save for the down payment to acquire rental property while paying the usual monthly bills can really be a budget squeezer for most people. If you are interested in real estate investing and don't have the financial resources to enter the business then investing in a REIT may be the perfect alternative for you. REITs is the acronym used for real estate investment trusts. They are companies that engage in different activities within the real estate niche. Such activities include building properties from scratch, renting, selling or investing in assets related to the industry like mortgage debt although the ones that invest in mortgages are usually called mREITs. What makes them different from other corporations is that they receive a special tax treatment, they do not pay taxes on a corporate level as long as they maintain their status as a real estate investment trust. The fundamental requisite to maintain such status is that they have to pay a minimum of 90% of all the earnings generated by the company to their shareholders in the form of dividends. Instead, shareholders pay taxes on these dividends as ordinary income. A person that invests in real estate needs to pay attention to the dates when rents are due, pay any mortgages, has to maintain his or her property in top shape most of the time pay for any damages that the people who live in the property cause and so on. This can become rather stressful especially when the people who are renting the property are not paying in time and the mortgage is due. Even worst, when no one is renting it and you have to pay from your own pocket. Ouch! Having a property taken by the bank because no one rented it in time is nothing new to the world of rental property. In fact it happens all the time. REITs can take that pressure away from you because they are managed by professionals that do all these tasks for you. The only work you have to do is cashing in dividend payments. Which is a lot less stressful than having to do all the dirty work. Some might argue that since REITs are traded in the stock market they can lose value. Well of course, so does your property and it doesn't trade in the stock market. The difference is that since you are not getting a daily quote on your property you don't know it. Housing and real estate properties have their own market and it goes up and down while not as drastic as when the stock market crashes the price does fluctuate. Why REITs Have High Yields? REITs normally have high yields for two reasons: they have to pay 90% of their income to shareholders and they don't get taxed at the corporate level. Normal corporations tend to avoid high dividend payout ratios in order to reinvest in the business, repurchase stock or make acquisitions. REITs don't have that freedom and are required to distribute most of the income to shareholders to be able to enjoy the tax benefits that the REIT structure permits. These may have a two edge sword effect when it comes to stock price appreciation in one side you have high yields that increase your current income and on the other side you have a slow capital appreciation. As for the effect of their tax structure, the fact that they don't pay taxes on a corporate level also helps to push up the yield. All investments including U.S. Treasury securities have risks in one way or the other. While REITs are not fixed income assets they are still subject to interest rate risks in one way or another. Most investors that buy shares in these companies do so in order to receive their dividends and enjoy some capital appreciation. Since all investments compete with one another the price of shares in real estate investment trust can go down if interest rates rise enough. If you had $1000 dollars to invest for income what would you choose a bond from the U.S Treasury which is considered the investment option with the lowest risk yielding 6% or riskier REIT yielding 6% that is subject to state taxes in addition to federal taxes? This type of thinking pushes the prices of real estate investment trusts lower when interest rise to high level. The thing about this type of company is that even if share prices go lower the value of their assets may increase and this may signal a buying opportunity. History has taught us a valuable lesson an that lesson is that even real estate can go down in price as witnessed when the housing bubble burst recently but, normally it is not the norm as properties commonly go up in price along with inflation. For this reason, as long as the company remains profitable a lower share price should not be a reason to sell REIT stocks at a loss in fact it may be a time to add to the position. Why add to the position? If you were to buy commercial property when would you prefer to buy them when mortgage rates are low or when they skyrocket? A high interest environment also leads to higher mortgage rates which unless the economy is growing at ridiculous speeds and everyone is drowning in cash tends to put off those that are interested in buying a home. This makes rental income from real estate investment trusts more stable. This type of risk is in inherent in most real estate investments. The vast majority of potential real estate investors don't have the money to buy a property using only cash form a bank account so they take on debt in order to pay for most of the property. The problem is that if no one rents the property the person still needs to pay for the mortgage. If the person can't pay the loan the house is taken away by the lender. The same thing applies to REITs only that if they can't pay up debt they have to sell assets or the company may risk bankruptcy. It is very important to choose a REIT that has a healthy debt level and that has rental contracts that span many years to ensure a steady income and avoid any surprises. The lower the debt levels relative to equity the easier it is for a company to manage any difficult situation. Remember than since real estate investment trust have to distribute 90% of the income they need to either take on debt or issue shares in order to expand. Don't Have A Clue About Investing? While REITs are also subject to risks they are one of the best investments options around in terms of stability and reliability (excluding bonds). They are perfect for retirees and people that are interested in real estate investing but do not have the money to buy a property using only cash and don't want to add debt to their own balance sheet. One of the best ways to invest in them for the average Joe that doesn't know how to read a balance sheet is to invest in a REIT sector ETF. This way the person owns a fund that has a lot of underlying assets with enough diversification. @ cmoneyspinner That's the whole point of REITs, they are managed for you. You just sit back and get the dividends instead of having to chase people to get them to pay their rent. REITs is a great way to go. If you have the time. And if you don't have time, don't bother with real estate investing at all. Because it is extremely time-consuming. But REITs are really good for the small investor who wants a piece of the commercial estate market. @kathiem2 The real estate market in the U.S. is starting to pick up thanks to a low interest environment. REITs are a little overvalued at the time for the same reason. Many investors seeking high yields have been pushing REIT unit prices higher making their yield go down.